Black self-textured jamawar short Kurti features antique gold floral embellishments and peacock motifs illusion. Embellished bell sleeves; Stand collar neck with V front. 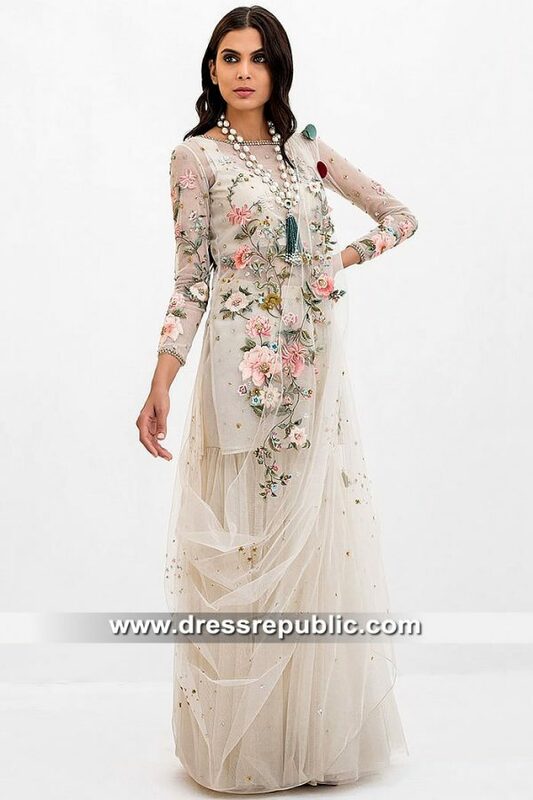 Raw silk pleated shalwar embellished with floral cord work. Dark teal organza dupatta shawl has tiny motifs scattered in the middle.